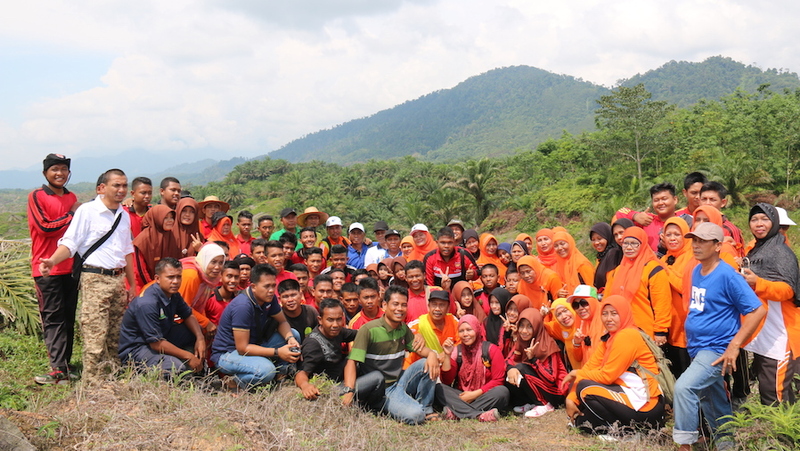 On Sunday 10th May local high school students visited the Aceh Tamiang restoration site in the Leuser Ecosystem to lend a hand in replanting trees where a great forest once stood. 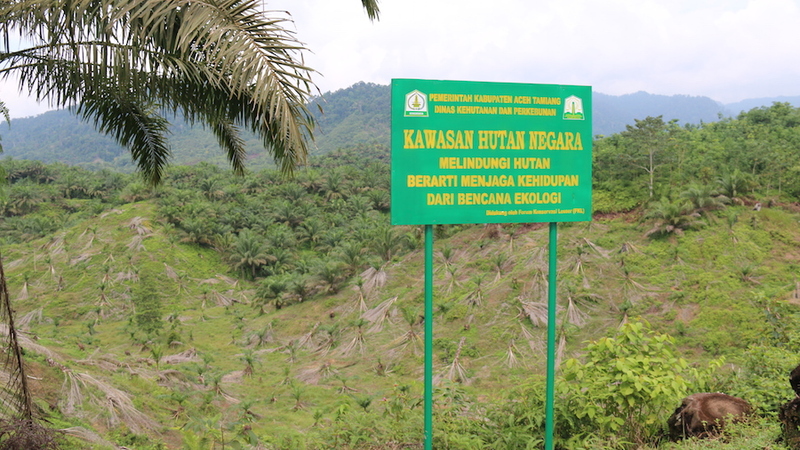 This protected area of forest was destroyed to make way for illegal oil palms. Thanks to our supporters and the collaboration of local authorities, NGOs and community, we have already cleared 100 hectares of this oil palm and started the process of restoration. The event was hosted by HAkA and FKL together with members of the Aceh government departments of forestry, planning and education. Our coordinator of the Aceh Tamiang restoration program, Tezar Pahlevi, led a lively discussion with the students about why we clearing the illegal palm oil and restoring the forest here is so important. 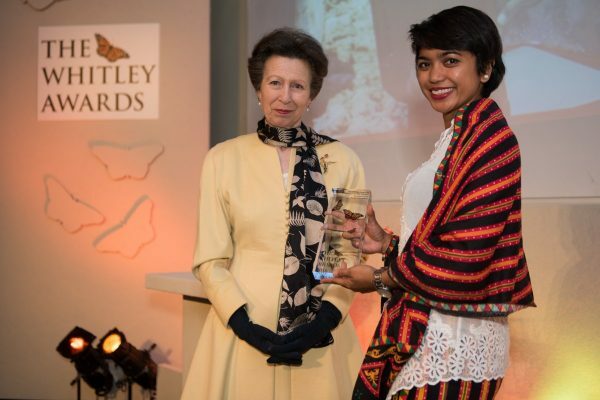 “Not only is restoring our forest essential to the survival of many of Sumatra’s unique species, it is essential to the lives and livelihoods of all of us living around the Tamiang watershed,” Tezar explained. 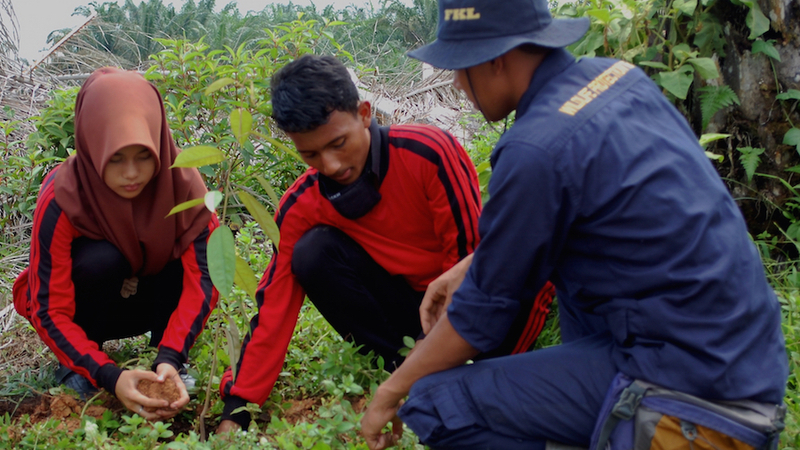 The students, who are part of their school’s “Green Club”, also learned about the work our rangers do to protect the forests of the Leuser Ecosystem. Tezar explained how our rangers track down and destroy poachers’ traps and collect wildlife data with camera traps. 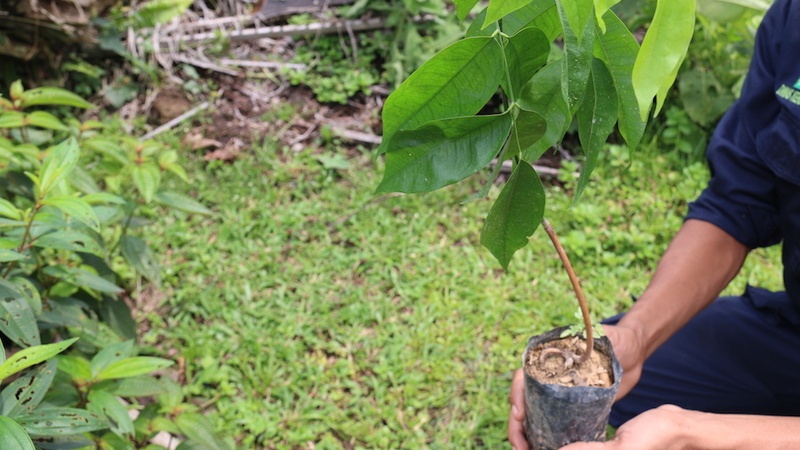 The students planted 30 seedlings of native trees at the site, including durian, merbau and damar trees. Our next mission is to plant 40,000 trees along the 100 hectare boundary that we have already cleared. Would you like to be part of this historic restoration work? 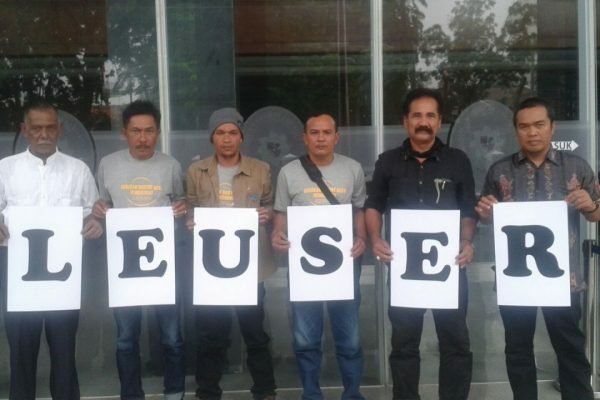 We need your support to cut down more illegal oil palms and plant more trees now. Just click on the donate button on the right. 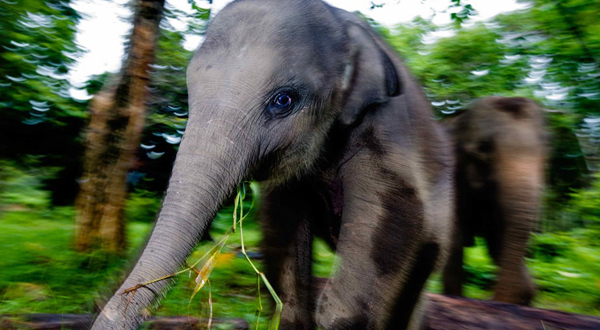 By helping us to restore this critical wildlife corridor you will help save critically endangered species like the Sumatran elephant, orangutan and tiger.